Providing you the best range of big boring stands for automobile with effective & timely delivery. Ilahi Mechanicals India is the preferred choice of our customers for proffering precisely designed Big Boring StandsFor Automobile . 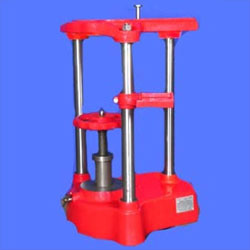 Made available in numerous specifications, these stands are capable of tolerating high pressure. Rugged in construction, extremely durable and corrosion resistant, these boring stands are widely appreciated and accepted among our customers. Looking for Boring Stands For Automobile ?